June 10 - 14 Summer Camp! June 17 - 21 Summer Camp! June 24 - 28 Summer Camp! July 15 - 19 Summer Camp! July 22 - 26 Summer Camp! July 29 - Aug 2 Summer Camp! 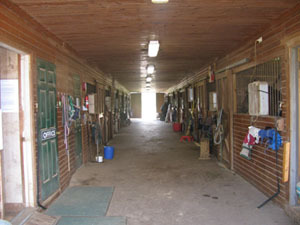 Touch Point Farm offers a variety of boarding options for your horses. Always available at Touch Point farm are its large open fields with a variety of hills, ponds and trees. 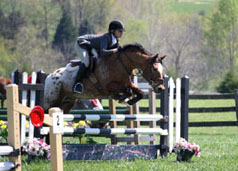 Touch Point Farm offers a large, show-quality arena that is made available to riders. And if you're a rain-or-shine rider there is a covered practice ring for all-weather riding. If you're interested in continuing your riding education at the same location where your horse is taken care of, Touch Point Farm offers a variety of group and individual lessons at all levels of experience. 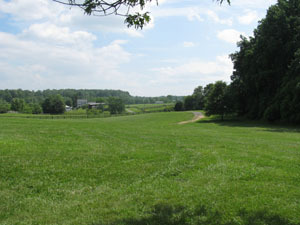 The grounds at Touch Point Farm sport cross-country jumps and multiple rings for riders to practice on.